You can make this up to a day ahead; cover and refrigerate. Cut up and serve the pie on a large serving platter for a buffet. 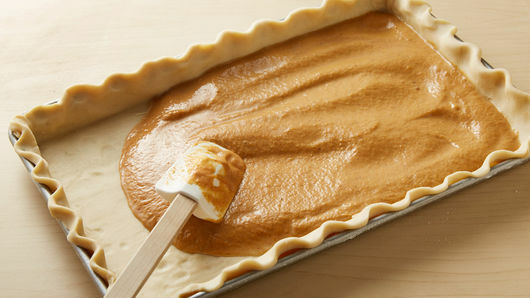 Top with dollop of whipped cream, and garnish with pecan half, or lightly sprinkle with pumpkin pie spice or cinnamon. A fine strainer works well for sprinkling on the spice garnish. Slab pies are having a moment. Typically, a slab pie serves 16-24 people and has a crust-to-filling ratio that a lot of pie critics crave, making it a huge hit at big gatherings and holiday parties. 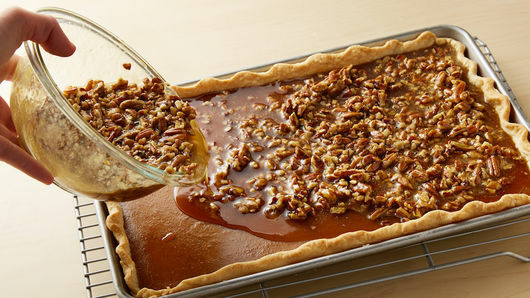 This slab pie recipe marries two of our favorite Thanksgiving desserts: pecan and pumpkin. And you only need a baking sheet and a handful of ingredient to make it! Just because slab pies are baked in a different pan doesn’t mean that you still can’t dress up the crust. 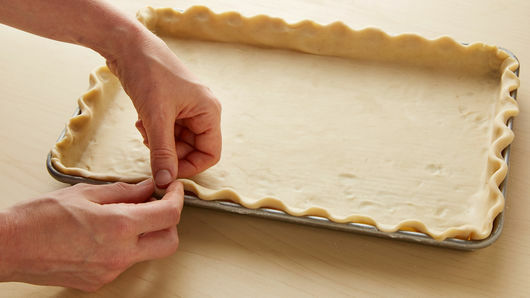 We crimped the pie crust in this recipe: you can do this by pushing the dough outward with your index finger on the inside of the crust towards your other thumb and index finger on the outside of the crust and pinching the dough to form a “V” shape. 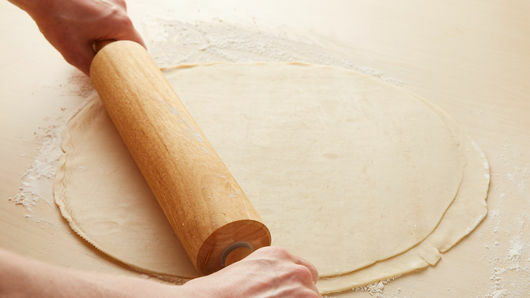 Learn more pie crust tricks by reading through our easy how-to article! 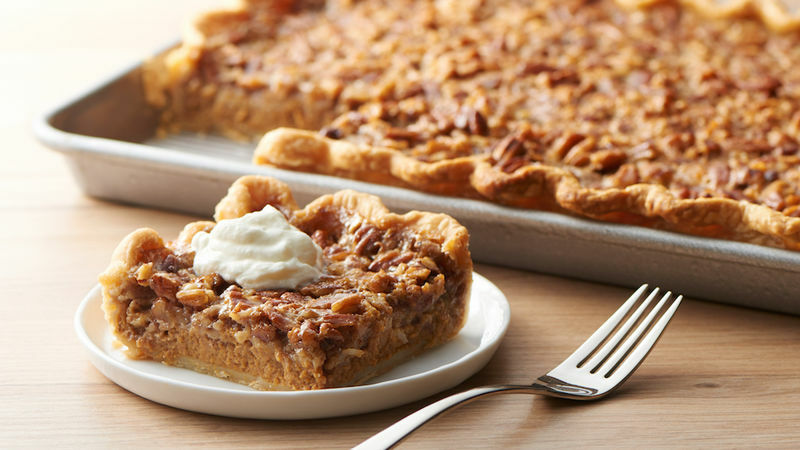 Can’t get enough of pecan pie variations? We have so many more recipes for you to try!